It only makes sense that Virginia’s oldest distillery is known for its whiskey. After all, the family-owned distillery started on a farm, back in 1927. Mr. Bowman’s farm did so well that he needed a use for his excess grain. After the repeal of Prohibition, he built and licensed a distillery to a grain-based spirit, whiskey. A. Smith Bowman Distillery, a small distillery (well, small when compared to the likes of Jack Daniel’s or Jim Beam, anyway) has made plenty of award-winning whiskey. In 2016, the distillery’s Abraham Bowman Limited Edition Whiskey – Port-Finished Bourbon was awarded World’s Best Bourbon from the World Whiskies Awards, hosted by Whisky Magazine – and then again in 2017, for its John J. Bowman Single Barrel Bourbon. With the installation of a new, custom micro-still at its Spotsylvania distillery in 2015 (dubbed “George” after the father of the pioneering Bowman brothers, right next to “Mary,” the distillery old-timer), A. Smith Bowman expanded its experimental program. George has a reflux onion, optional gin basket, and attached columns with bubble cap trays, which allow the distiller to create different flavor profiles and a variety of spirits, including limited-edition whiskeys and entirely new products, including rum, vodka, brandy and gin. 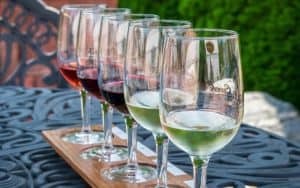 The experimental lines are made with custom recipes and incorporate unique wood types, exotic fermentables and local ingredients. 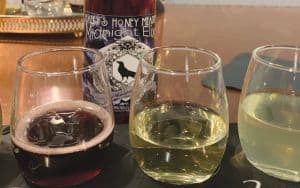 I recently had a chance to sample Bowman’s newest products: a trio of distinct, inventive gins, each made with various botanicals (and, of course, enough juniper to pass legal muster). The gins were all created by Master Distiller Brian Prewitt. Prewitt so enjoyed tinkering with various ingredients to create the final products that the Bowman staff named the gin brand Tinkerman’s. All three Tinkerman’s gins begin with a clean base spirit made with 100 percent American grain, and come in at 92 proof. The juniper varies (to best balance with the other ingredients), as does the distilling process to imbue the spirit with the botanicals. 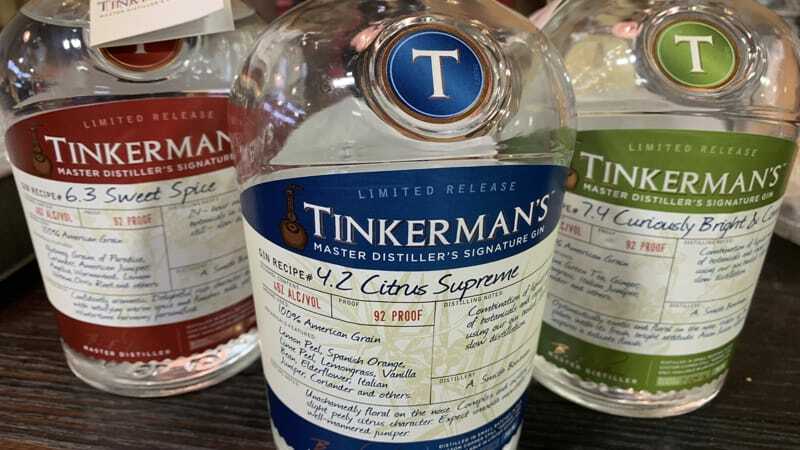 Tinkerman’s Citrus Supreme gin uses lemon peel, Spanish orange, lime peel, lemongrass and other ingredients for a bright citrus, floral experience, with smooth mouthfeel and a hint of juniper. Tinkerman’s Sweet Spice combines herbs and spices, including nutmeg, grains of paradise, angelica, wormwood, lemon verbena, orris root and coriander, with American Juniper, for a dry, complex flavor. Imagine holiday spices, warming for winter, and you get the idea of Sweet Spice. 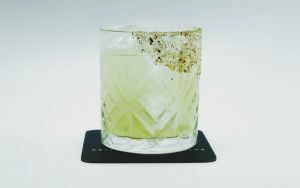 The Tinkerman’s Curiously Bright & Complex recipe features jasmine green tea, ginger lemongrass, coriander and Italian juniper and other ingredients for a delicate Asian-inspired gin. Tinkerman’s gins are not yet available in Virginia ABC stores, so make your way to A. Smith Bowman, just outside of Fredericksburg and an easy drive from Richmond. You can enjoy a distillery tour, tasting (of the variety of spirits neat or in cocktails) and purchase an abundance of Bowman spirits – including the gins – and swag.